My friend's cats are enjoying their afternoon in the surrounding, she has 5 local cats. They are not that special on this pic, but they are really awesome when u are living with them. 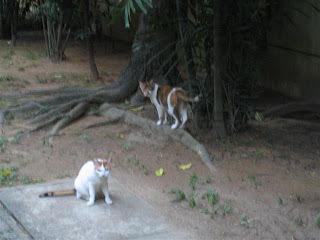 They remind me meowmeow & chuchu everyday while I stayed with my friend.